Cleaning up rubbish can get very dirty if you do not have the right equipment and experience for the job. 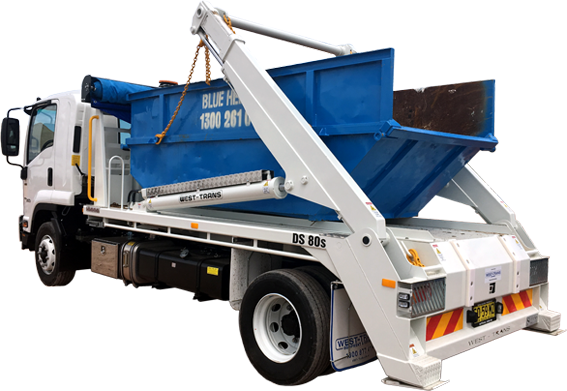 That is why we at Blue Heeler Bins insist that you hire our expert Waste Removal Service for all your garbage disposal needs in Lilli Pilli. In addition to Lilli Pilli our service area is quite vast, therefore you can hire our services wherever you are located. Our services include rubbish removal and cheap skip bin hire. You can hire bins of a variety of sizes and dimensions. We also have bins with gates and crane bins as well. So you as the customer can select the bin size and type that suits the job that you are handling. You can rest assured that all our bins are of the greatest quality and can be used without any doubt or hesitation on your part. The crane bins in particular will save you a lot of effort, time and money as you can use the crane to place the bin in whatever area you want. Therefore you do not have to take the trouble of moving the garbage to the bin, but rather you can now deposit the bin closer to the rubbish. This will definitely come in handy when you have a job that is in a tricky location. We are a company that has over 20 years’ experience in this business. Therefore you can be sure of the quality of our service. We are always punctual and efficient with our service. When it comes to waste removal, Blue Heeler Bins can guarantee 100% customer satisfaction. In order to hire our Waste Removal Service in Lilli Pilli simply give us a call on 1300 261 041 or 0418 238 210. You can also send us a message on our official homepage.